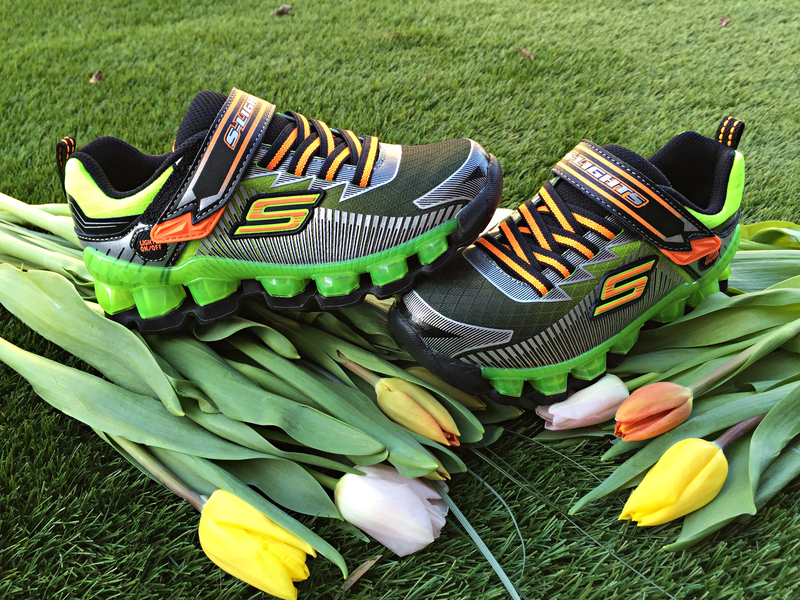 Spring has arrived at Skechers! It’s time for bright colors, stand out designs and fresh new textures, which is exactly what Skechers delivers in our kids’ collections. We asked our style-savvy merchandisers to let us know the latest for little ones… check them out! The cheerful new Skech Air – Laser Lite showcases the traditional bouncy fun air pocket outsoles of our Skech-Air styles, with Skechers’ signature gel infused memory foam insole that will make a girl feel like she is walking on clouds. The ventilated Skech Knit mesh perfectly hugs the foot – and the shoe’s bright, vivid, fashion-right colors make this style a great addition to any girl’s spring wardrobe, comfort included! Warmer weather is the perfect time for outdoor play time, and every girl needs a “go-to” sneaker that will keep her comfy and looking extra cool. Skechers Burst (at Skechers Retail) is our newest lightweight lace-up – and the cool electric pink pops, flat knit mesh and Skechers Air-Cooled Memory Foam make it perfect for school, the park or a day out with family. And since this style is also available for adults, it’s the perfect opportunity for mommy-and-me matching. So sweet! Deliver dazzling looks, charming girly details and electric color pops in Twinkle Toes‘ new lace-up mid-top sneaker, Shuffles – Starlet Pose. Skechers’ signature lighted rhinestone toe caps get a fresh new update with glitter accents and stitched hearts! Bright metallic colors, a side zipper and fun laces give this lighted sneaker glitz and glamour that will make every girl fall in love. Pair up with some youthful fun and a sweet smile and you have a perfect combination for a lovely sparkling, spring day! The vibe is fun and carefree… vibrant colors are the big trend right now! Flashpods have all the bells and whistles, and with seven lights chasing and blinking with every step, he’ll love to blaze a vibrant trail in the Flashpod – Scoria. Even better, the on/off switch on the side can deactivate the lights when needed. With the metallic stripe designs on the side panels and a vibrant translucent midsole panel, he will be photogenic anywhere he goes. Fashion is the ultimate form of self-expression, and the Neutron sneaker serves as the perfect canvas for this trend. It can easily take boys from the classroom to the playground with hoodies and jeans. The ombre color effect mesh upper and unique 3D-printed overlays on front and sides is sure to cause a great reaction, thanks to its cool, sporty style. The future is now… and a technical fabric along with Skechers Gel-Infused Memory Foam plays well to this trend in the Fast Volt athletic sport sneaker. 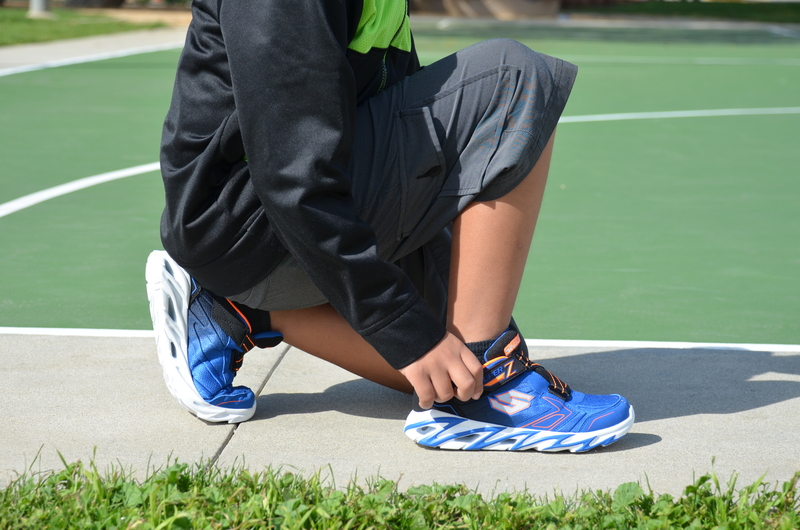 Complete with a dual-color mesh fabric upper and zig-zag strap, the Fast Volt trainer is designed for speed! It’s sure to add some high-intensity sport style to his look. 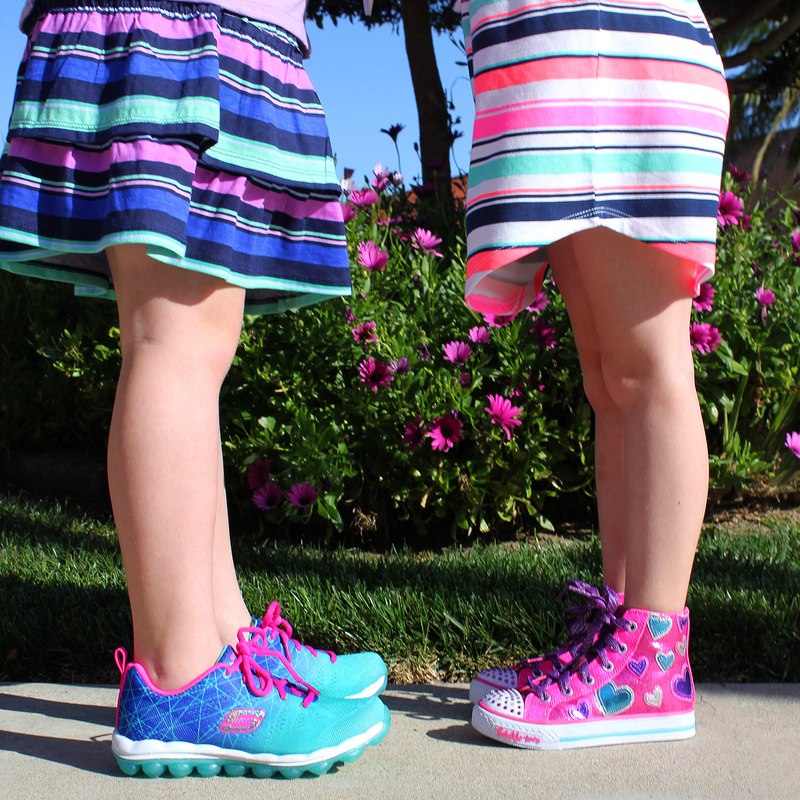 What Skechers Kids styles are your little ones wearing this spring? Tell us in the comments!